Accessible, professional counseling for our congregation and the community. The Lutheran Counseling Center (LCC) at Advent Lutheran Church, one of nine LCC Sites throughout the Metropolitan New York area, offers professional pastoral psychotherapy at reasonable fees for individuals, couples and families. The Center promotes health, hope and wholeness by offering additional resources for congregations and the community such as workshops on wellness, anger management, depression screenings and couple’s/marriage enrichment. Beyond traditional counseling, the Center also serves children by providing school counselors through Lutheran Schools Association. Because our counselors are both licensed psychotherapists and pastors, we can offer professional counseling that is grounded in the Lutheran faith. But also, all people -- including people of all faith backgrounds -- are welcome to utilize the support of our Lutheran Counseling Center. Counseling can remain secular (non-religious) if that is preferred. Counseling is a wonderful resource that any individual and family can utilize, both during a particular time or challenge, and throughout life. We invite anyone and everyone to take part in this resource with love and without judgement. There is nothing wrong with needing to talk. God created us to help each other and be community, and this is one way we can help. Call or email to make an appointment with one the counselors at the Lutheran Counseling Center in our building. 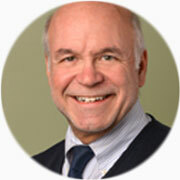 Thomas S. Taylor, PhD, LCSW-R, STM, is a Certified Psychoanalyst and Licensed Clinical Social Worker with an ‘R’ status. He is a member of the National Psychological Association for Psychoanalysis (NPAP) and is a Clinical Supervisor for LCC. An ordained pastor of the ELCA, Dr. Taylor has a PhD from the Silver School of Social Work at NYU and a Master’s of Social Work degree from Yeshiva University in NY. His Master’s of Sacred Theology degree is from the Lutheran Theological Seminary in Philadelphia, Pa., and he has a Master of Divinity concentrating in Psychiatry and Religion from Union Theological Seminary in NY. Dr. Taylor received his Certification in Pastoral Counseling from the Post-graduate Center for Mental Health in NY and has had extensive experience working with individuals and couples and as a seminar presenter. He is a Prepare/Enrich certified trainer. In addition, he has taught as an adjunct professor at Concordia College, Bronxville. Dr. Taylor counsels teens, adults and couples as our Counselor-in-Residence. 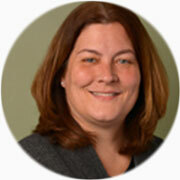 Elizabeth Geiling, MSED, LMHC, received her undergraduate degree from Concordia College in Bronxville, NY. She received her Master’s degree and Professional Diploma in Counseling from Fordham University, NY. Mrs. Geiling holds a NY state license as a Mental Health Counselor as well as being a Certified School Psychologist and Guidance Counselor. She currently serves as an Assistant Professor of Psychology at Concordia College, Bronxville, NY, teaching courses in general, developmental, abnormal and counseling psychology. Her work experience includes college, community and school counseling for individuals and groups. Her practice includes young children, adolescents and adults. The Rev. Forrest T. Parkinson, LMSW, LP, is pastor of Community Church of Little Neck in Little Neck, NY. He is a Licensed Psychoanalyst, having obtained a certificate in Psychoanalysis from Blanton-Peale Institute in 2005. Rev. Parkinson also has an MSW from State University of NY, Stony Brook. He received his MDiv degree from Immaculate Conception Seminary in Huntington, NY and has full ministerial standing with the United Church of Christ. He also has an MS in Special Education & Emotional Disabilities from LIU at CW Post in Brookville, NY. Lutheran Counseling Center also has locations in Brooklyn, Queens, and more. Click here to view all the Lutheran Counseling Center locations in New York City and the surrounding areas, and see if a one of them is more convenient for you.